A warning message that spreads on Facebook recently alerts users about “another friend request” from a potentially cloned account. Many have expressed their frustration at receiving the hoax message from dozens of friends. 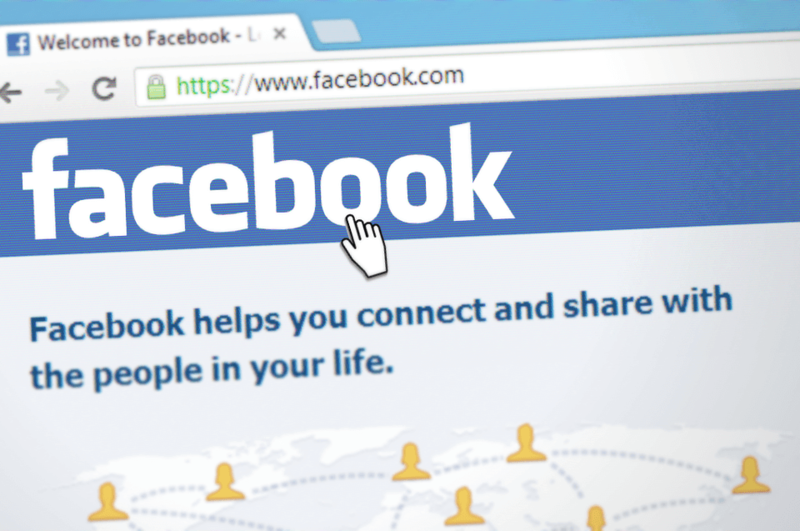 Many users have apparently been made to believe that their account has been cloned and they have become a victim of some Facebook crooks that have set up a new account, identical to their profile, and have started sending friend requests from that “cloned” account. This recent viral message, however, does not reflect any actual mass cloning scam, nor has it a relation to the data breach that occurred earlier in September, according to Facebook officials. Now, Facebook profile cloning scams like the one explained in the message indeed occur, and, technically, everyone may fall a victim of them. Typically, cloned accounts are accounts, which the fraudsters create under your name and your profile pictures. They are used to spread malware and spam, as well as to trick the people, who accept the friend request from the identical account into phishing schemes, distribution of viruses, theft of personal data or identity. However, this particular message that has been spotted to roam around the social network in the last few days appears to be a hoax. Security specialists so far consider it as a once well-intentioned warning, which has rendered useless by being repeatedly reposted all over Facebook. If you receive one of these hoax messages it is best to delete them and just move on. 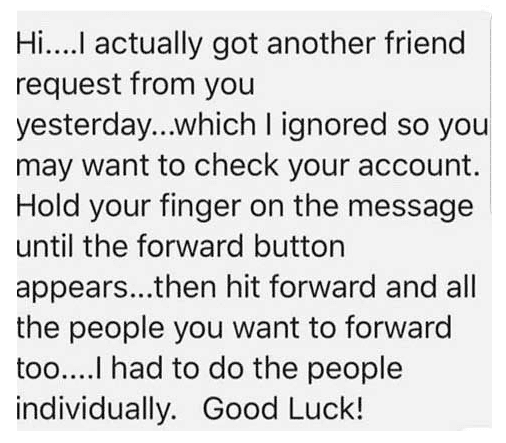 There clearly is no benefit in forwarding such a warning message to any of your friends, unless you really have received a questionable second friend request from someone. Professionals remind that the optimal approach in case of a doubt that your account might have been “cloned” is not to forward warning messages to all of your friends. They advise to individually contact a couple of the friends in your list and check if they have indeed recently received a duplicate friend request form you. You can also search Facebook for accounts with identical names and profile pictures to yours and, in case you detect such, use the “report this profile” link on Facebook to have them deactivated.